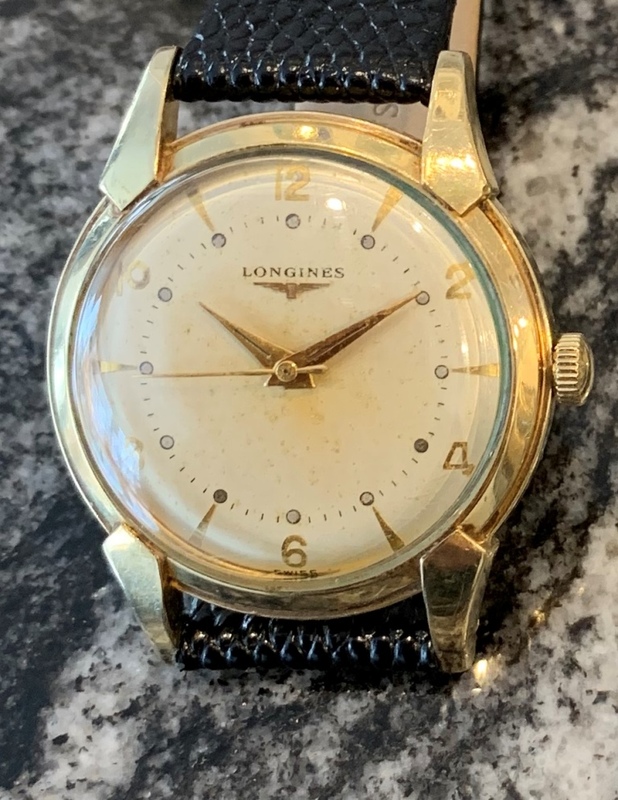 Great looking Longines with pronounced overlapping lugs and original patined dial. The Longines 23ZS manual wind movement was recently serviced by our watchmaker and is in excellent condition. 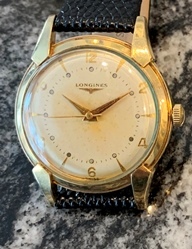 The watch has been dated by it’s serial number to 1953 (#8961733). Photos are magnified and show details not seen by naked eye, the case measures 34 mm across (not including crown) x 43 mm lug to lug and is fit with a leather bracelet.